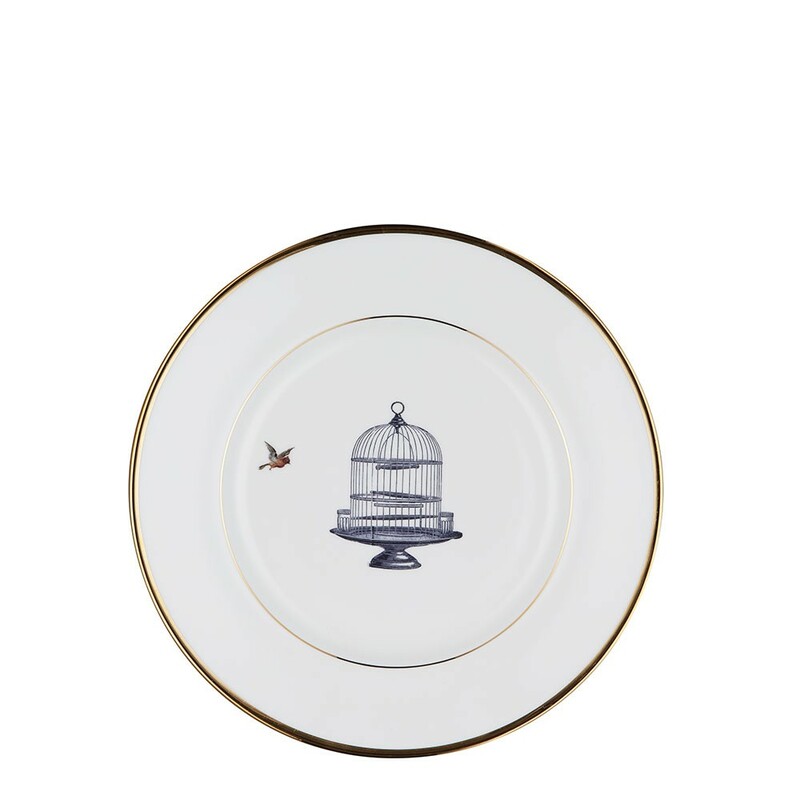 English fine bone china plate with the Birdcage and Bird design, part of the Melody Rose Urban Nature collection. A wonderful talking point for any dining table, it makes a delightful gift or wedding present. Perfect on it's own or mix and match pieces from the Melody Rose collection to create a unique setting of your own. Choose from Sizes, Dinner Plate, Salad Plate, Side Plate or select all three as a set. Designed in London and made in Stoke-on-Trent, England's pottery heartland, each piece from the Melody Rose collection is handmade keeping at it's heart the tremendous quality that made Britain renowned for its ceramics. Durable enough for every day use, the gilding and glorious detail also make them perfect for the grandest occasions.